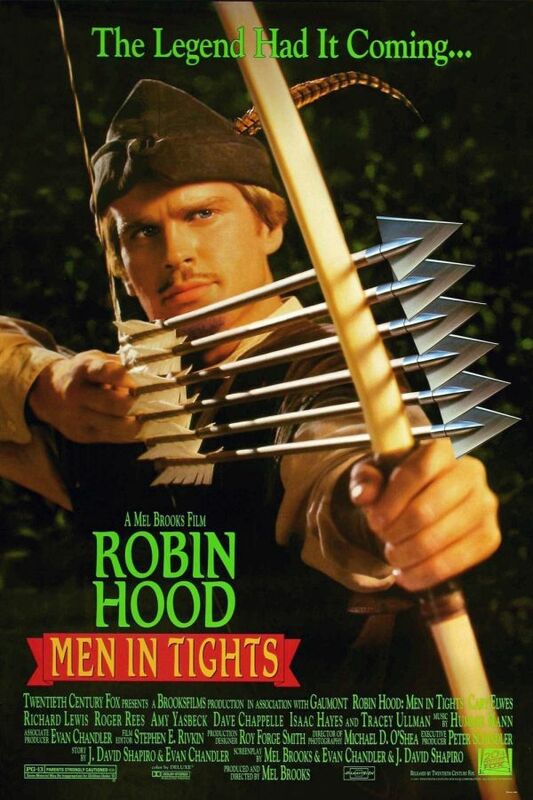 Men in Tights font here refers to the font used in the poster of Robin Hood: Men in Tights, which is a 1993 musical adventure comedy movie and a parody of the Robin Hood story. The font used for the movie title in the poster is probably Romic Medium, a decorative serif designed by Colin Brignall. You can view more details about it here. In addition to Men in Tights, Romic typeface is also used in the following logos, movie posters or album covers etc., including: Hiiro no Kakera.